Freezer Repair, Lakeland, FL | Johnson's Mechanical Inc. Freezer Repair, Lakeland, FL | Johnson's Mechanical Inc.
We can address adding a regular maintenance plan after your freezer repair service to ensure that your equipment is always working properly in Lakeland. Are your freezers shuddering and making strange noises? When you open the doors have you noticed that they aren’t cooling properly? Calling someone for freezer repair can be frustrating, especially when you need these items to work to keep your stored items safe and cold. How do you find an experienced company that can get them working again? If you are having problems that require freezer repair, our team at Johnson’s Mechanical Inc. is available to help. We can diagnose your cooling issues and provide freezer repair that will get you back on track. At Johnson’s Mechanical Inc., we understand that freezer repair is never convenient, but our reliable service ensures you will never have to wait for another company to get the services you need. We pride ourselves on honesty and the integrity of our work; so our fast, reliable repairs will tell you that you will never need to call another company for your servicing needs. When you call us, you’ll find that we have the knowledge and expertise to service all major brands regardless of where you purchased your equipment. Our number one goal is customer satisfaction, and you won’t be disappointed with the results from our professional technicians. We can even address adding a regular maintenance plan after your freezer repair to ensure that your equipment is always working properly. 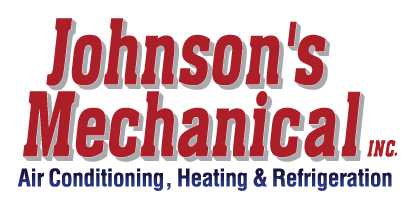 Your freezer repair in Lakeland, Florida will be easy when you call us at Johnson’s Mechanical Inc. We have been providing heating and cooling services since 1982, and you will never need to call another company once you’ve worked with us. Contact us today if you have questions or would like to schedule freezer repair service.